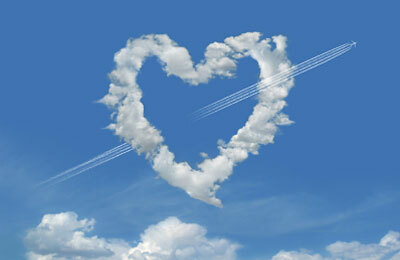 And for some, it really is – about 30,000ft in the air. I recently heard a story about an octogenarian couple on a transatlantic flight. The husband woke up after a snooze to find that his wife wasn’t in her seat. After a while, he asked a member of the crew if they’d seen where she had gone. He simply couldn’t find her. Time passed and still no wife. However one toilet had remained occupied for a suspiciously long time. Eventually, to the husband’s relief, out she came. Followed by another male passenger. Who says that romance is dead? Their subsequent trip might not have been quite so romantic. 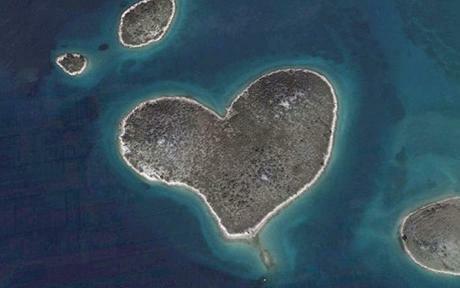 Maybe they should have gone to Galesnjak, an uinhabited heart-shaped island off the coast of Croatia. 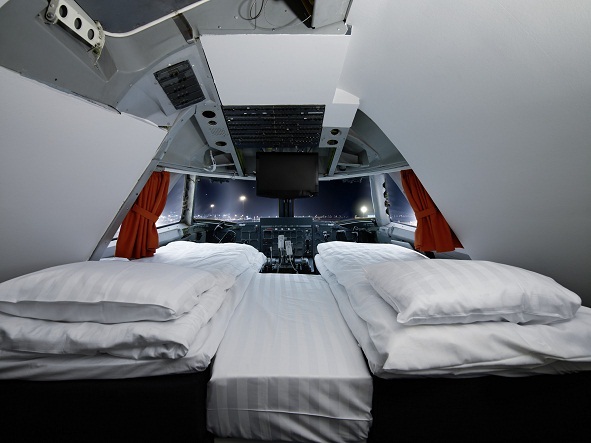 Or perhaps they should have just checked into Jumbo Stay, a jumbo jet that has been converted into a hostel at Stockholm Arlanda and now offers private bedrooms that stay firmly on the ground.